I started reading Soccer Sabotage, a graphic novel by Liam O’Donnell and Mike Deas. 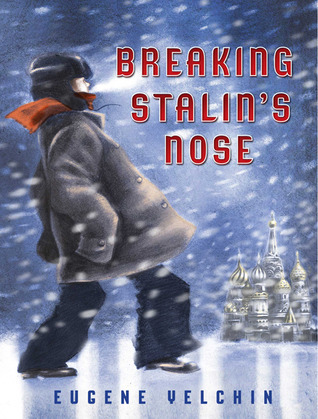 I have several of this series in the elementary library, and they are popular (the students are loving graphic novels). 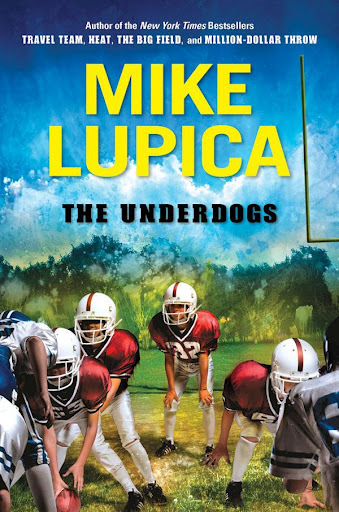 I didn’t finish, it though – I’m not a huge fan of sports fiction, anyway, and then the funny insets with just the head of the red-hair-afro kid, telling the fundamentals of soccer made it too much. I did spend a half hour on it, though, so that counts! So for #48hbc, I’m up to 3 hours, 5 minutes. I suppose I should round that to 3 hours, but that definitely seems the wrong direction if I’m going to make it to the minimum 12 hours! 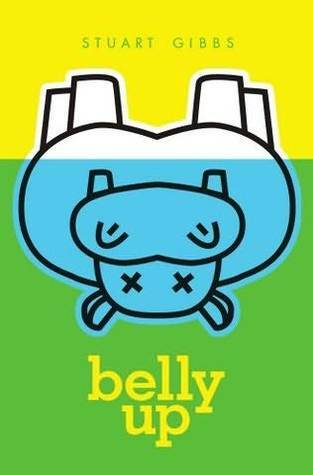 On big fat cows . 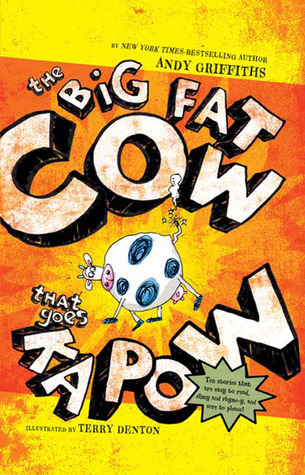 . .
That is, The Big Fat Cow that Goes Kapow by Andy Griffiths and illustrated by Terry Denton. Before I left the library today, I grabbed a bunch of new fiction books that I’d been wanting to read. I’m glad to see I hadn’t put a spine label on this yet because I may have just put in the fiction collection, when it definitely should be in the easy readers. I’m doing a new section for those easy readers, as we have youngsters come in for “Good fit books” (Daily 5 curriculum) and we are lacking in that area. But this book is fantastic for that! So I’m glad I read it – it didn’t add to my minutes read, much (up to 2 hours, 35 minutes now) but I’ll check out his other books, too. Students will really like this book. 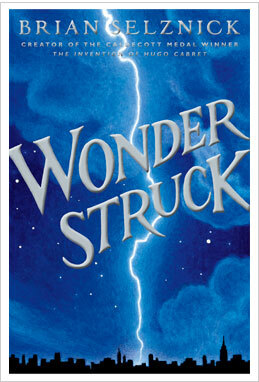 I just finished Wonderstruck by Brian Selznick. Of course I do have more recent books to read, but this has been on my to-read list for a long time. When I finished my student teaching three years ago, I gave my cooperating teacher, The Invention of Hugo Cabret as it’s always been a favorite of mine. More than most books, I find Selznick’s books overwhelming. I probably should have saved this book for last, because instead of jumping into another book really quickly for this 48 Hour Book Challenge, what I really want to do is sit and think about the book for awhile. At the beginning, it seems so disconnected and complicated, really, but Selznick brings together two stories – decades apart – in a most satisfying way. That took two hours – only with Selznick can you finish a 600+ page book in two hours! It’s a quick read with over 400 pages of pictures, but it’s a can’t-put-down, too.